On Monday, I got a sudden call from Winda, a lovely, outgoing woman who was excited to get married to Jim, a nice Bandung-born American man. She asked me if I could do a prewedding session for them so that they could pick one photo to be blown up and displayed at the entrance of their wedding venue this very Sunday. They already had done their prewedding photoshoot before but they wanted to display a photo with their real wedding dress and suit (the previous one they were wearing traditional Balinese wedding outfit that they won’t actually wear at the actual wedding). It was a quick call that I had to make but I was up for it. 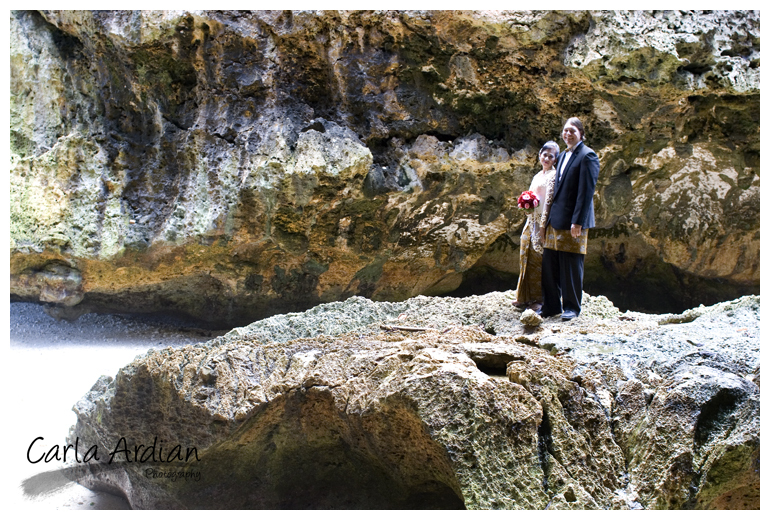 So the next morning we went to Uluwatu (Suluban beach to be exact) and had this great, fun prewedding session. Check out the photos below. Winda and Jim were such a great couple to work with and they’d do adventurous stuff to get a great photo. Like the one below. 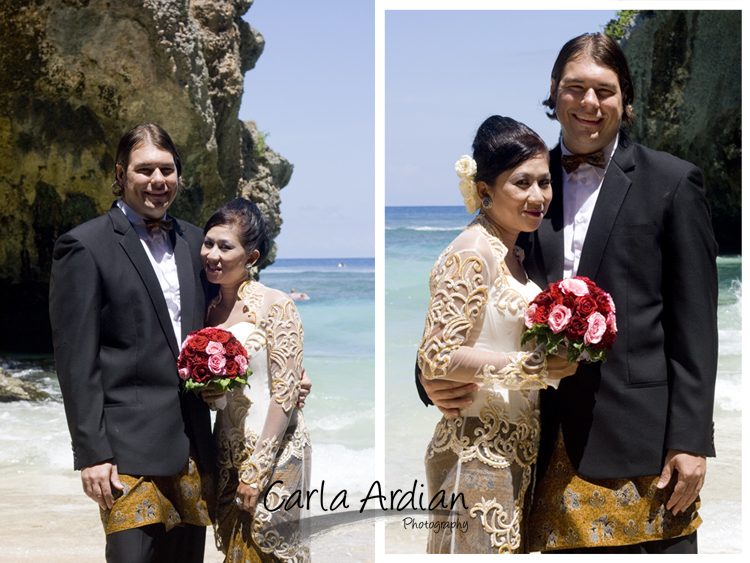 It was an absolut delight to photograph Winda and Jim. Congratulations on your wedding, guys!